Please click here to read Dr. Evans’ welcome letter to the NASBS. It is with a complete and utter sense of loss and sadness that I write to you, as your newly elected NASBS President, to announce the passing of a giant figure from the world of Neurosurgery, Skull Base Surgery, Neuroanatomy and Medicine in general. Albert L. Rhoton, one of the most celebrated Neurosurgeons and Past Presidents of the NASBS, left us on February 21, 2016. 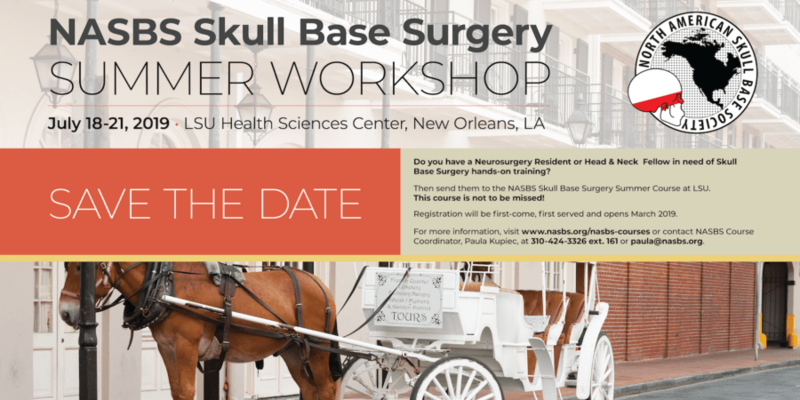 The Goals of the North American Skull Base Society are to promote dissemination of information about diseases involving the skull base, including the anatomy, physiology, pathology, and clinical management, in order to facilitate coordinated excellence in the delivery of care to patients, and to promote advancement of the scientific basis for treatment of patients with skull base disorders.